MACLA opens its 2015-16 season with Found in Translation, with works by award-winning, California-based artists Pilar Agüero-Esparza, Aaron De La Cruz, Rogelio Gutierrez and Patrick Martinez. The artists in Found in Translation transform everyday objects and materials (from street signs to crayons) to illustrate the complexities of the human experience in a multilingual and multicultural world. While firmly grounded in their personal histories as sons and daughters of urban and rural California, their work speaks to the ways in which multiculturalism is communicated, (re)interpreted, and (mis)understood in contemporary society. Opening Night/Artist Meet and Greet: Friday, September 4, at 7:00 pm, on South First Fridays. Pilar Agüero-Esparza, born in Boyle Heights, East Los Angeles, was exposed to the potential and richness of materials and the love of the hand-made, working with her parents in their shoe repair shop. She has shared this love to the Bay Area community at large as an artist, arts educator and arts administrator, exhibiting her work and working in numerous institutions including the San Jose Museum of Art, Triton Museum, Yerba Buena Center for the Arts, The Santa Cruz Museum, MACLA, Palo Alto Arts Center, Galeria de la Raza, and the De Young Museum. Her public art commissions include a series of murals in the main reading area of the Biblioteca Library in San Jose. Most recently, Pilar’s work was included in the 2010 ZERO1 Biennial, where she participated in Out of the Garage, artist residency along with artist H. Dio Mendoza. She received a BA in Art from the University of California Santa Cruz, and MFA from San Jose State University. Aaron De La Cruz’s work, though minimal and direct at first, tends to overcome barriers of separation and freely steps in and out of the realms of design, graffiti, and illustration. The parameters he has chosen to work within actually allow him to free himself and react to the very limitations he has created. This overriding structure and the lack of deliberation while moving within creates a tension when encountering his work, due to the almost computer generated grid like systems he creates by unplanned mark-making. The act and the marks themselves are very primal in nature but tend to take on distinct and sometimes higher meanings in the broad range of media and contexts they appear in and on.His work finds strengths in the reduction of his interests in life to minimal information. Born in Los Angeles, raised in Fresno, and currently working in the Bay Area, De La Cruz is a self-taught artist whose key murals, paintings, and installations has been exhibited at Pow! Wow! Hawaii and Taiwan, Art Basel Miami, Imprint Culture Labs, and The Hundreds’ LA headquarters. Inspired by graphic design and architecture, with roots in graffiti and skate culture, his abstract painting style is recognized internationally. Rogelio Gutierrez is an interdisciplinary artist and educator whose work deals with his experiences as a first generation Mexican-American. Originally from California, he received his BFA in Printmaking from California State University-Long Beach, and his MFA in Visual Art and Public Life with an emphasis in printmaking from Indiana University’s Herron School of Art and Design. He has been part of numerous group and solo exhibitions in the U.S. and abroad including venues such as: IPCNY (New York), MACLA, Galeria Dr. Belisario Dominguez del H. Congreso del Estado (Chihuahua, Mexico), The Center for Book and Paper Arts-Columbia College (Chicago), and was recently featured in Trazo Urbano: Gráfica Contemporánea desde Mexico, at the Museo de La Ciudad de Mexico (Mexico City). 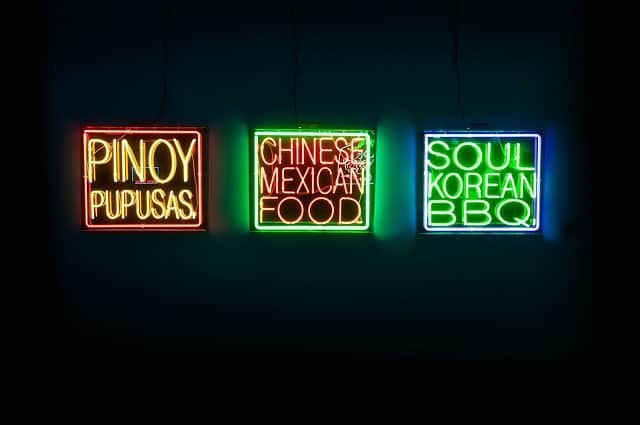 Key works include Invisible Frontier, an installation addressing issues faced by immigrant populations today (Purdue University Indianapolis); Farmas (Arts Visalia), a culmination of images and objects that connect people culturally, despite their physical and political separations; the public art project Bienvenidos a Indianapolis; and El Chico de California (1078 Gallery). Hip-hop, graffiti, and films like “Wild Style” and “Style Wars” were some of Patrick Martinez’s early influences.These influences remained as he learned and practiced his image-making skills at the Pasadena High School Visual Arts and Design Academy and Pasadena City College. After working as an illustrator and graphic designer for underground and mainstream hip-hop record labels, he continued his studies at the Art Center College of Design in Pasadena, where he received his BFA. Key exhibitions and installations include: Forbidden Fruit (New Image Art, Los Angeles), This is My Trip (Joshua Liner Gallery, New York), Mooncakes, Churros, and Cherry Pie (Euphrat Museum of Art, Cupertino), RE:DEFINE (Dallas), Most Oddinism (Art Basel), the Bullets Billboard Project (Los Angeles), Scope Miami Art Fair, Guerrero Gallery in San Francisco, All in for the 99% (Ace Gallery, Los Angeles), and the Black Book Project, Getty Research Institute Los Angeles. Patrick focuses on the phenomenology of his surroundings. He brings sublime beauty to things that aren’t thought of as conventionally beautiful. Patrick works with intellect and intuition in creating pieces of art that reflect and document situations that are ever present around him. Vitality and rhythm are the essence and energy in his artwork.